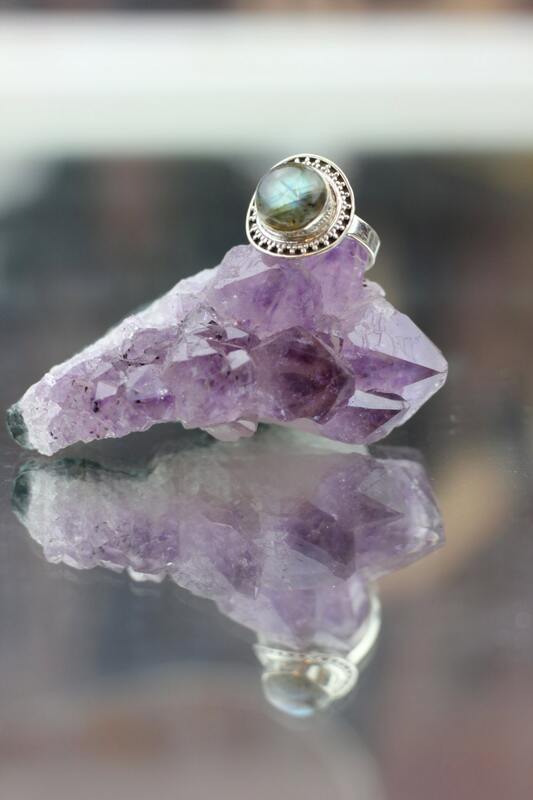 Our Handmade statement rings feature high quality Labradorite Crystals and beautiful filigree detailing on 92.5% Sterling Silver Rings. 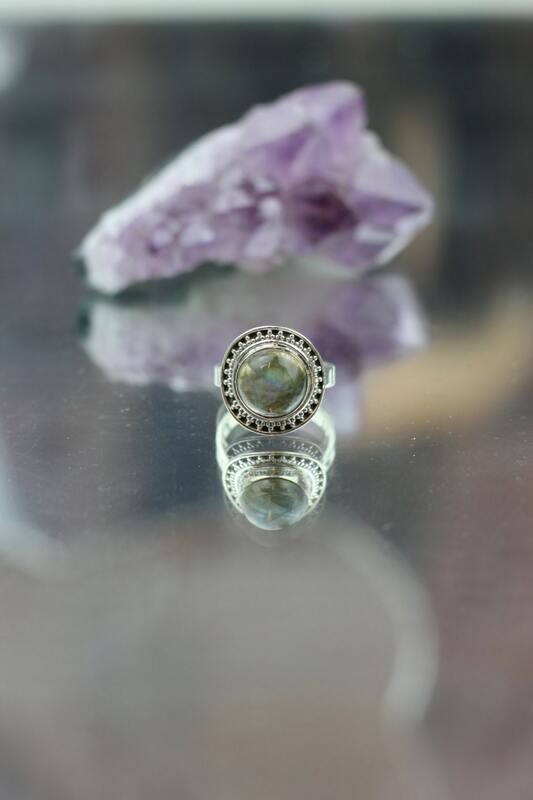 Embodied with power and beauty, the detailing on these rings is exquisite, and the shimmering labradorite literally glitters and glows as you wear it. 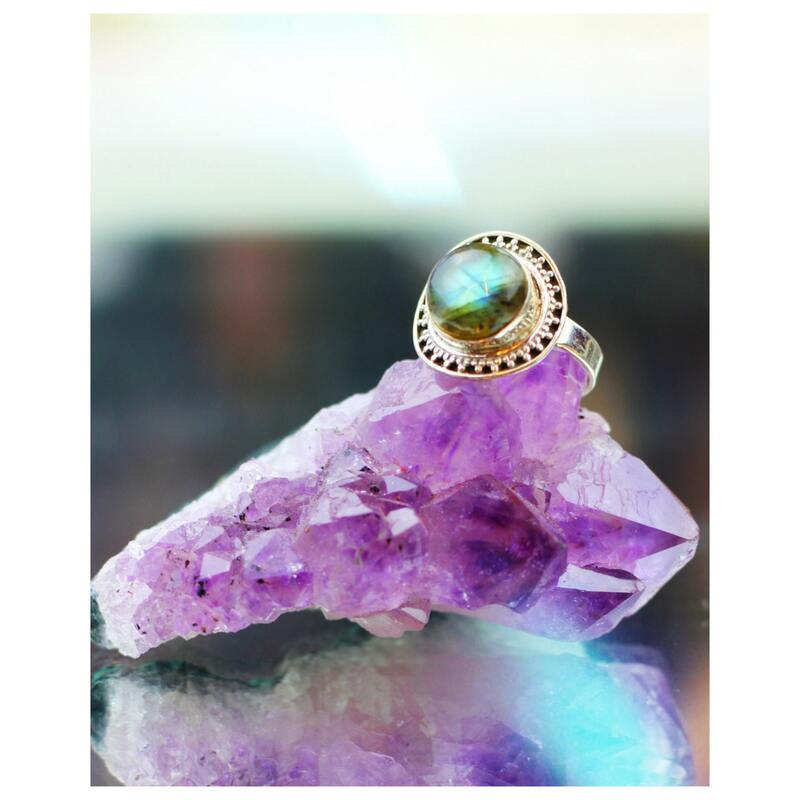 This ring is totally bespoke and one of a kind. We only made one of these so grab it before it's gone! 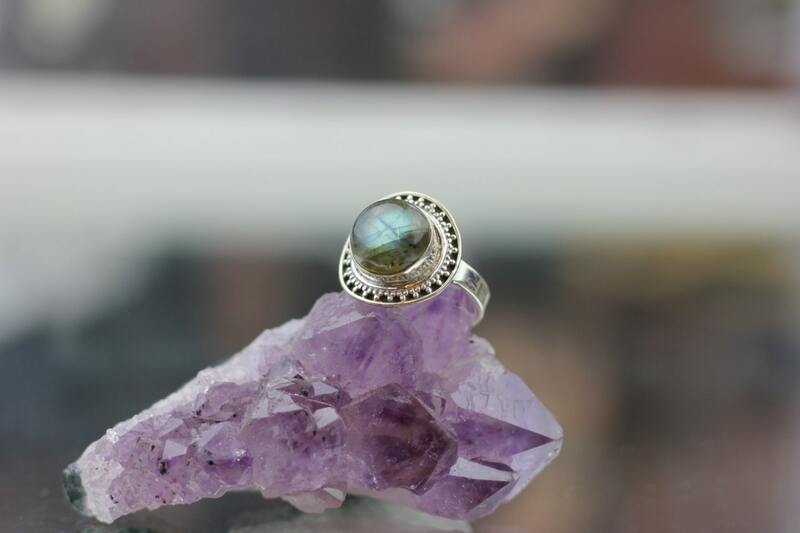 *Due to the shimmery nature of Labradorite it was incredibly difficult to photograph! 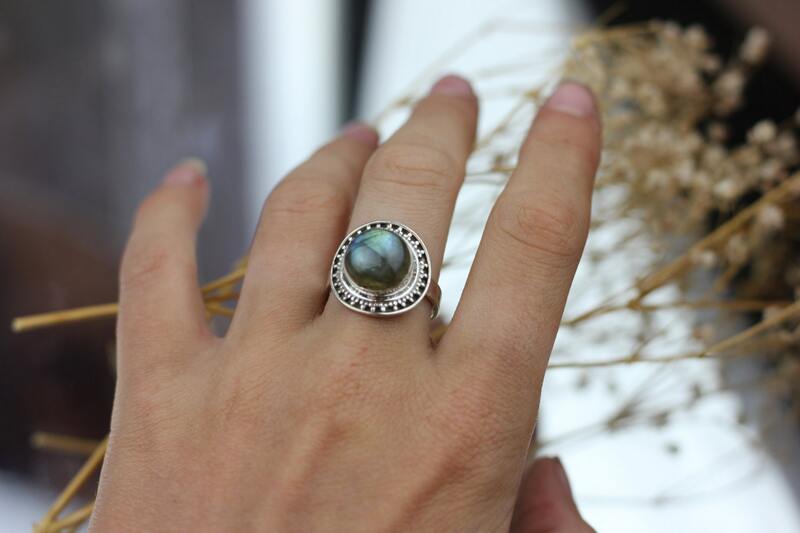 These photos do not do the glowing nature of these rings justice, they are much more energetic and beautiful in person. Materials: Sterling Silver, High Quality Crystals.